PIC622PK, The Pink Wine Purse is a fashionable high quality wine carrier that can be used to securely carry one bottle of champagne/wine or double as an evening purse. 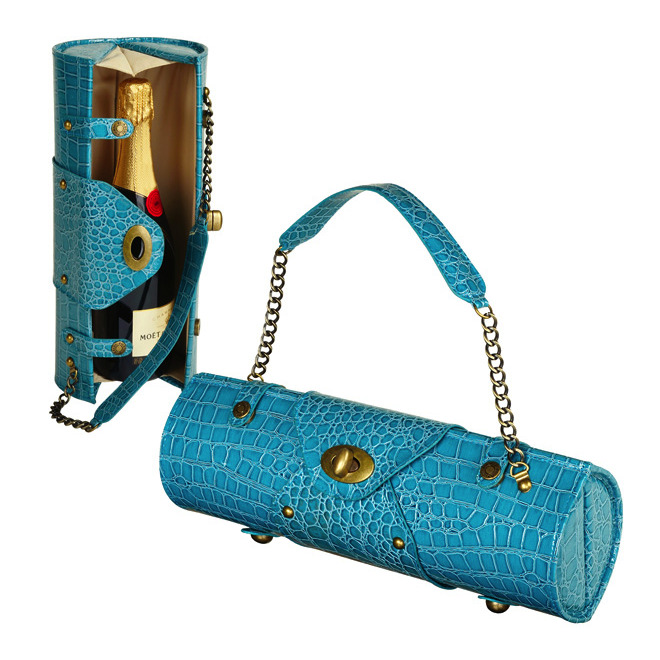 This wine Purse wine holder comes designed with a padded interior for extra support, finished with an interior lining and small pocket which holds included corkscrew. 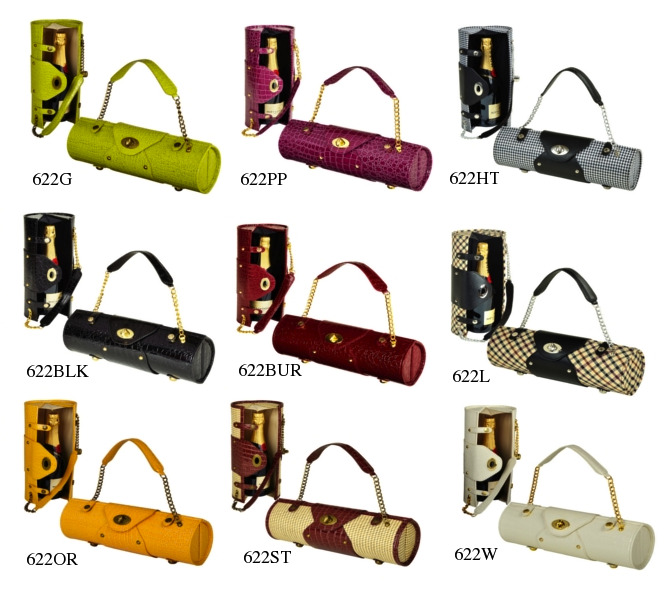 NOTE: Additional colors available by special request for orders of 10 or more bags.